Emerald Ash Borer (EAB) was discovered in Winnipeg in the fall of 2017. It is an invasive pest native to Asia that is a pest of our ash trees. Now that it is here it can’t be eradicated. Emerald Ash Borer has the potential to kill all the Ash trees in Winnipeg over the next 10 years. The mortality of our ash trees is expected to grow exponentially over the coming years. The only treatment is a trunk injection treatment repeated every 2 years indefinitely. The treatment to control Emerald Ash Borer is only recommended for Ash trees greater then 20 cm trunk diameter. If treatments are not given the tree will need to be considered for removal. It is important to remove Emerald Ash Borer infected ash tree well before branch die back reaches 50% as the risk to people and property associated with the dying Ash tree is significant. Please contact Parkland Tree Care Ltd. 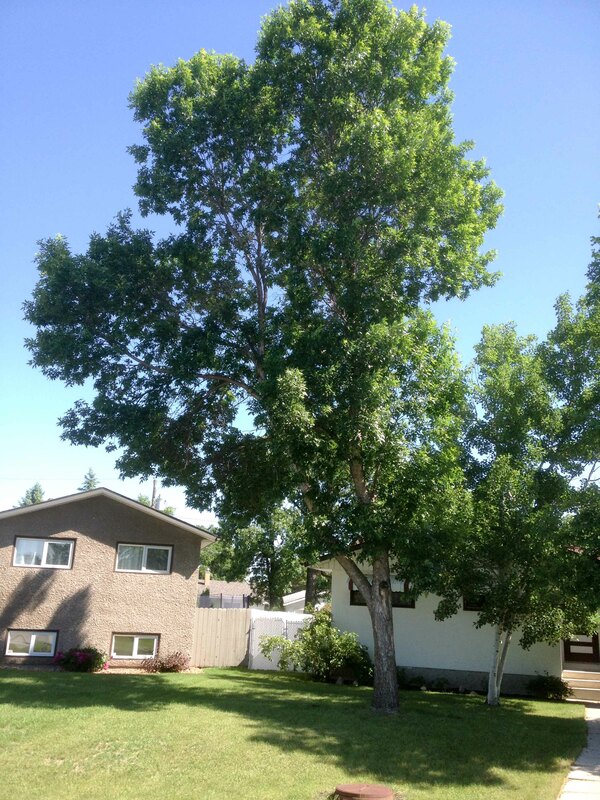 If you would like an arborist to determine if you have ash trees and what the best option will be for your Ash tree(s).